Harry Cooper at ArtSpeaks, Norton Museum of Art, 2017. Experts present perspectives that deepen our understanding of the Norton’s art and architecture. Talks are free with admission, seating is first-come, first-served. Public art museums appeared in the middle of the 19th century and have undergone many mutations. 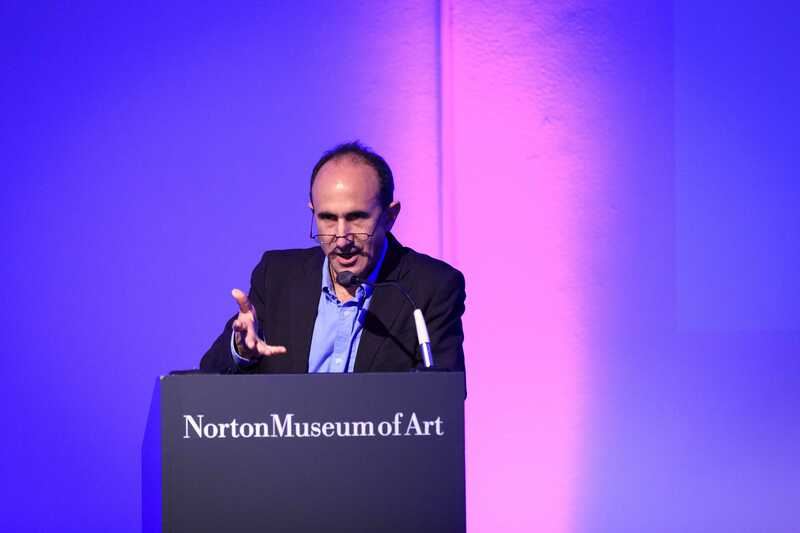 In conjunction with the opening of the Norton’s new building, Witold Rybczynski, architect, critic, author, and emeritus Professor of Urbanism, University of Pennsylvania, whose work has appeared in The New Yorker, The Atlantic, The New York Times, Slate, and other publications, talks about how art palaces became “neutral storehouses,” influencers of tourism, and the future of what are sometimes called secular temples. This program was made possible with support from the Gayle and Paul Gross Education Endowment Fund.